In the first decades of the 1800s, after almost three centuries of Iberian rule, former Spanish territories fragmented into more than a dozen new polities. Edge of Empire analyzes the emergence of Montevideo as a hot spot of Atlantic trade and regional center of power, often opposing Buenos Aires. 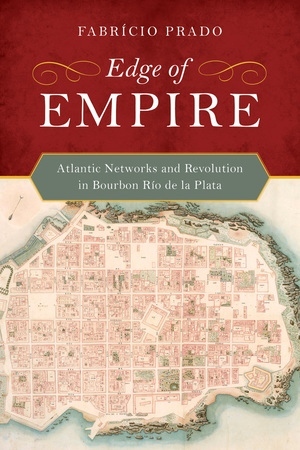 By focusing on commercial and social networks in the Rio de la Plata region, the book examines how Montevideo merchant elites used transimperial connections to expand their influence and how their trade offered crucial support to Montevideo’s autonomist projects. These transimperial networks offered different political, social, and economic options to local societies and shaped the politics that emerged in the region, including the formation of Uruguay. Connecting South America to the broader Atlantic World, this book provides an excellent case study for examining the significance of cross-border interactions in shaping independence processes and political identities. Fabrício Prado is an Assistant Professor of History at the College of William and Mary.